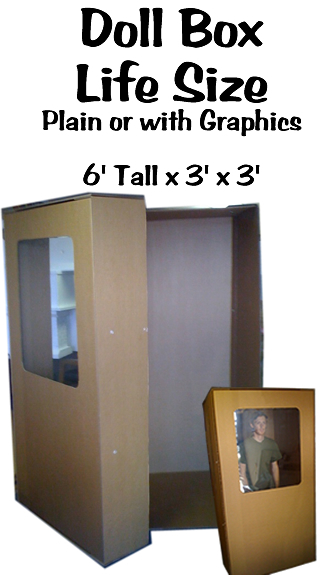 Life Size Doll Box Cardboard Prop - Dino Rentos Studios, INC.
Life Size Doll box perfect for the party ! Constructed of Double thick cardboard. Comes as a kit for you to assemble.